MSA Offers a one stop shooting club for all shooting disciplines. We hold regular Club Shooting Competitions where shooters can complete against some of the TOP shooters in the country. MSA welcomes all visitors to our facilities in order to promote the shooting sport in a safe and relaxed atmosphere. We have various ranges available, so come down and do a bit of practice or to sight in your rifle before the hunting season. We provide a range with under roof benches with a length of 370m. This range can accommodate handguns, shotguns as well as rifles. The range is under the control of the MSA Range Officer. 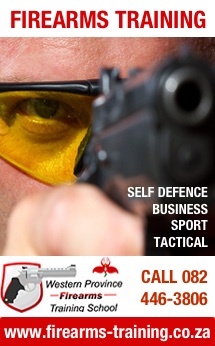 The club does not provide training in the use of firearms however you may contact the club and the committee will provide you with an accredited SAPS Training Provider. We are about 24km from Table View and Blaauwbergstrand. The range is situated next to the South African Defence Force range located about 10km from Atlantis. From Cape Town take the R27 (Marine Drive) north until the R307 which is about 5km from the Koeberg Nuclear Power Station (Atlantis turn off). Turn right onto the R307 and proceed for about 2km. You will see a sign on the left side of the road indicating a turning to the right. Turn right onto the road to the SANDF shooting range. The Military Range is at the end of this short road. Drive past the Military Club House where the tarred road becomes a gravel road. Continue for about 500m until you reach a gate on your left side. Turn left through the gate and you will see the Founders range on your right. You will need to report to one of the duty Range Officers and sign in, after which you will receive your shooting sticker before being allowed to shoot. The SANDF gates are closed on the 4th Saturday of the month if there are 5 Saturdays in a month. On these Saturdays and at any other time that the MSA ranges are open, one can gain access via the turn-off to the Delta Airfield road just after the Koeberg Power Station on the R27. This is the Brakkefontein Road and can also be accessed from the Apollo Bricks side on the R304 Between Morningstar and Atlantis. Take the turnoff to the right, travel for about 3km up the dirt road, pass the flying club and airfield on the right and turn into the bottom gate of the shooting complex on the left at the top of the rise. Follow this road all the way to the Founders Range and sign in.